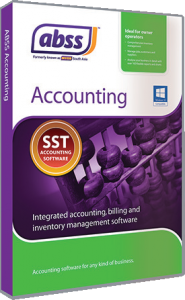 The latest releases of ABSS Premier and ABSS Accounting have important GST compliance updates. New tax code ICG is available in ABSS tax code list. Existing tax codes EP, GP, NP and RP will be removed from ABSS internal tax code list for newly created data file. The usage of these tax codes has been reclassified into ZP tax code. For businesses that report quarterly, if you have recorded EP, GP, NP and RP tax code in your January and February transactions, as advised by Customs, you can still submit your first quarter report with these tax codes, but it is recommended to use ZP for future transactions. Previously Field 15 referred to “Total value of GST suspended under field 14”. GST3 Bar delimited text output file has b een updated to included the taxable amount excluded GST “Total of Other Supplies” located at column eleven of the text file. GST 03 Summary and Detail reports have been updated to meet requirements from Customs Malaysia. Sales or purchases that involves bad debts will reflect the new tax codes changes. Customs Malaysia requires to report GST posting date for purchases made. Users can now easily record and track the GST posting date in the Purchases Module in MYOB software. Account type fields in Ledger. GST Purchases List report shows the purchases transactions and GST posting date for customers to easily reconcile their purchases with GST posting. With this update, only transactions relating to a GST registered customer will appear in the Bad Debts Relief Claim screen. Jabatan Kastam requires that Exchange Losses are shown as zero value on GST 03. 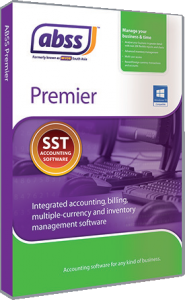 This update is applicable to MYOB Premier.